Our readers are our writers! 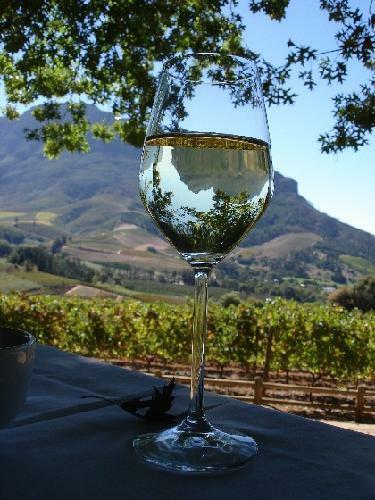 Email us a write-up of your trip to Stellenbosch and we'll send you a travel voucher. We recommend staying at the Summerwood Boutique Hotel, which is a renovated old country house situated in a quiet part of Stellenbosch. Ask for the upstairs room which has a view of the garden & pool. It's a short drive the hotel to various restaurants. There are many enjoyable day trips from Stellenbosch, including going to Franschhoek, Bikini Beach, the Taal Monument in Paarl, Butterfly World and the Drakenstein Lion Park. Stellenbosch is situated about an hour's drive from Cape Town, between the N1 & N2 national roads, and makes an excellent base for seeing the eastern part of the Cape metropole. Known for its numerous grape farms and picturesque mountains, a stay in Stellenbosch offers a short diversion from the hustle and bustle of Cape Town life.